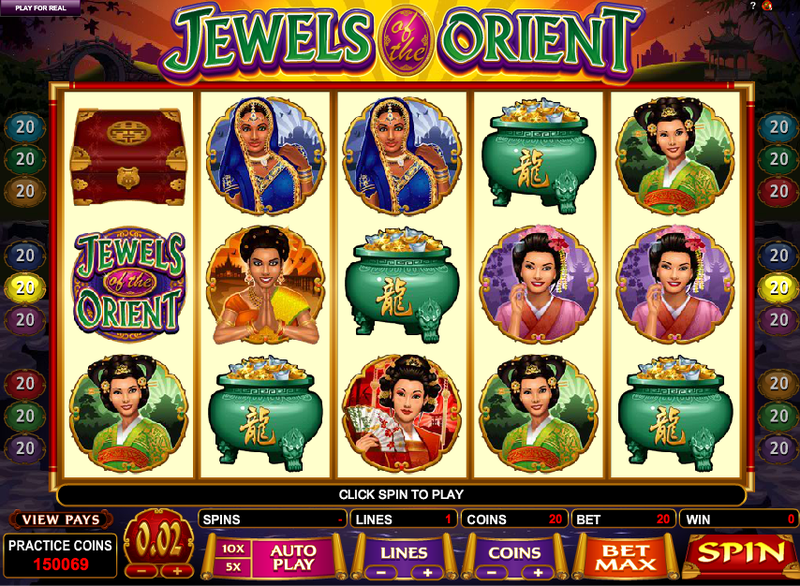 Jewels of the Orient is a colourful and interesting online slot machines from Microgaming and that company clearly regards the Orient as a very wide area indeed. It seems to be a region which stretches all the way from India to China if the contents of the game are to be believed. There’s also a smooth double entendre at play because the jewels in question are both real jewels and girls from the countries involved. Hopefully we’re correct but we may not be; there are also some bonus symbols and these include the game’s logo which is wild and the Palace scatter which triggers the bonus game. 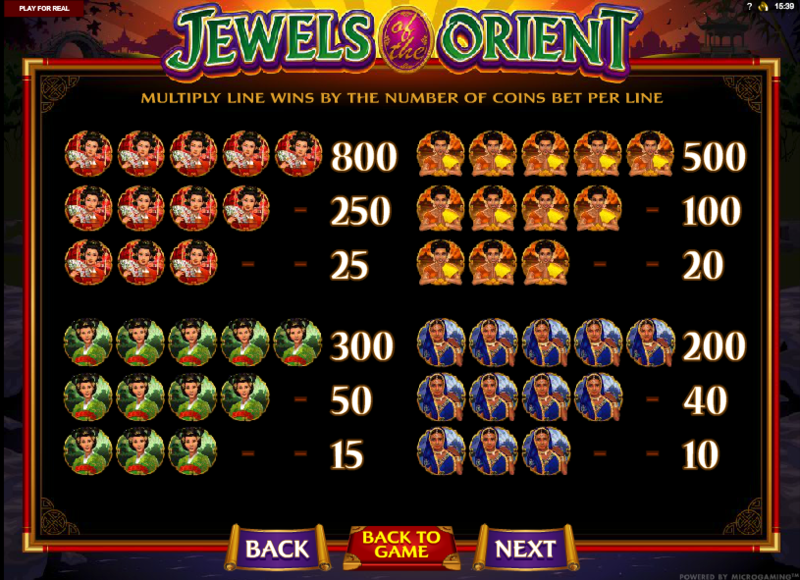 There’s one big bonus feature in Jewels of the Orient and it’s a good one – to trigger it you’ll need to land three, four or five of the Palace scatter symbols anywhere on the reels. The number of scatters is important because it determines the value of the choices you make in the next section. Watch the video below and you can see how it all works but briefly, some oriental gentlemen are lined up and you must pick one box – this will determine the number of free spins you receive. Subsequent picks will determine your multiplier and also a coins rewards based on your total bet. Now just click spin and watch the money roll in! In our experience the bonus feature is where the profit is hiding so make sure you play with maximum paylines to give you the best chance of triggering it; feel free to adjust you stake downwards if required. This is an interesting and colourful slot with a soundtrack that seems to blend music from all the countries involved without making your ears bleed. The bonus feature is a long-lasting one and should be a lucrative one to boot.